Are Netflix's best days already behind it? The excitement behind the announcement that dominant US movie streaming giant Netflix is coming to the UK has been dampened by an alarming subscriber drop-off across the pond. Netflix lost a whopping 800,000 subscribers in the United States in the third quarter of 2011, seemingly because of the massive customer backlash against a price hike earlier this year. The company controversially split its disc rental and streaming packages asking customers to spend $7.99 each on something they'd been paying $8.99 for as a combined package. As a result, most customers have chosen one solution or the other, with only seven per cent of its user base signed-up for both the disc rental and streaming options. Now, with a UK launch officially pencilled in for the early months of 2012, it raises fears that Neflix's best days may already be behind it. Subscriber numbers for this quarter came in a 23.79m, down from 24.59 in the previous three months. In a statement to shareholders, the company said: "Our opportunity is to be one of the leaders of this transformation (to video streaming) with the best streaming video subscription service on the planet. "The last few months, however, have been difficult for shareholders, employees, and most unfortunately, many members of Netflix. "While we dramatically improved our $7.99 unlimited streaming service by embracing new platforms, simplifying our user‐interface, and more than doubling domestic spending on streaming content over 2010, we greatly upset many domestic Netflix members with our significant DVD‐related pricing changes, and to a lesser degree, with the proposed‐and‐now‐cancelled rebranding of our DVD service. "In doing so, we've hurt our hard‐earned reputation, and stalled our domestic growth. But our long‐term streaming opportunity is as compelling as ever and we are moving forward as quickly as we can to repair our reputation and return to growth." Despite that vow, the company is also struggling to keep customers sated with fresh streaming content for its streaming package after failing to renew a deal with the Starz Play distribution network. That means US subscribers will soon loose a huge array of popular content including recently added movies like Toy Story 3, TRON: Legacy. The company also confused customers with a heavy-handed, short-lived decision to remove its disc rental business from the Netflix name and call it Qwikster. That decision was reversed within weeks. 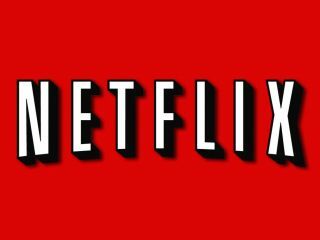 So with the UK already in love with LOVEFiLM and with Sky and Virgin's on demand offerings extremely popular, can Netflix really make its desired impact on UK soil? UPDATE: Shares in the company dipped a massive 26 per cent in after hours trading.